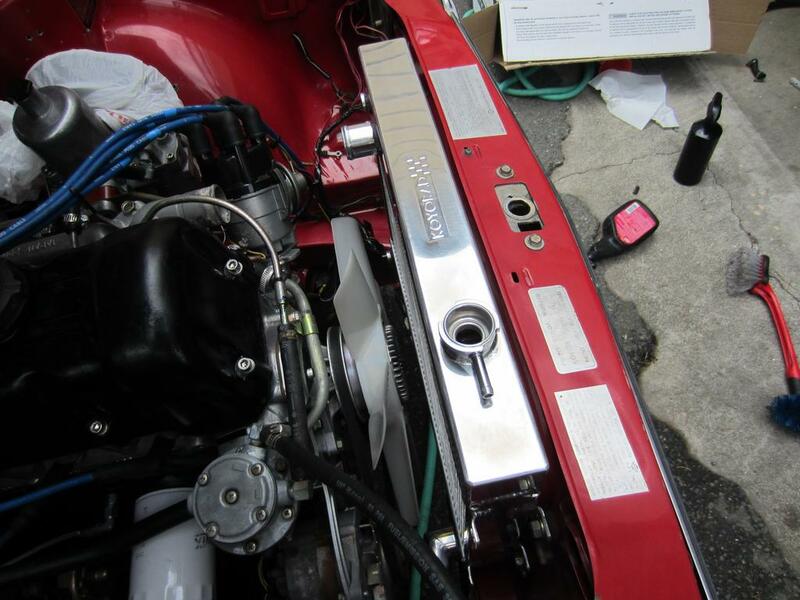 The topic is cracking of aluminum radiators that mount in the stock type configuration. Certainly a good discussion topic. With a few radiators available that mount in the stock mounting configuration; is it a good idea to mount an aluminum radiator just like we mounted our old brass ones? draker wrote: There have been a few people that had those champion radiator crack.. or fail. Even after getting a replacement, it would fail. The koyo is a bit more. I got mine for about 250 shipped. It fit just fine with the stock alt, and an IR alt. No regrets. Wouldn't recommend the eBay radiator. okayfine wrote: I wonder if the cracking issue is dependent on how you mount it. What are the failure modes? Yes, you shouldn't have to monkey with the mounting, but with the Champion at least, you do. But, if you do, are there still failures? I mounted mine with rubber sway bar end link bushings, and only tightened three of the four mounting bolts to allow it to expand as necessary. If it were mounted rigidly to the core support, I could see that being a problem, especially as you'd be flexing the mounting points on both sides since the bracket doesn't mount flush. My new aluminum radiator is not a stock type replacement, but is a 2 core units that's nearly as big as I could get and build to fit the front of the car in the stock'ish location. 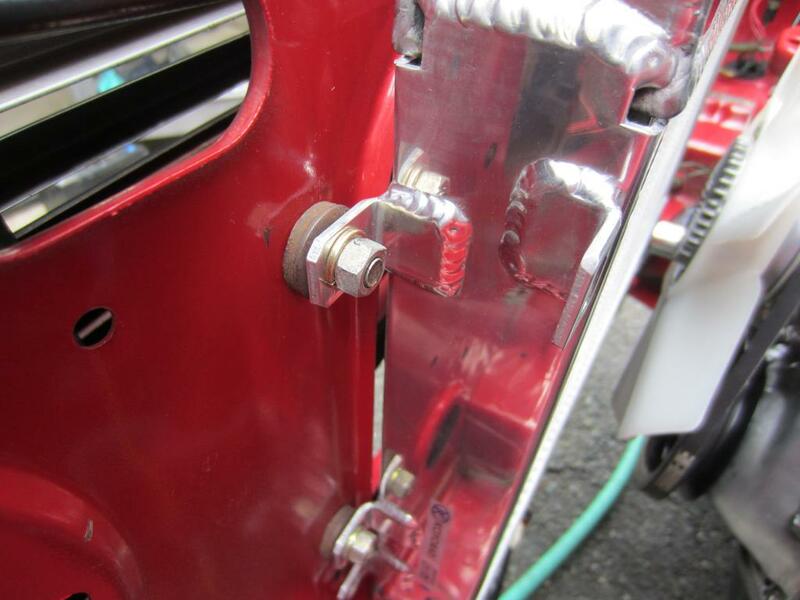 However it sits in a cradle at the bottom on rubber blocks and is clipped in at the top utilizing a sheet metal plate. The rad can expand in all direction unimpeded. Now if you bolt the rad solidly to the rad support as the stock radiator is, can this be a problem over time with the expansion that the aluminum radiator sees, vs the expansion that our original brass radiators saw? 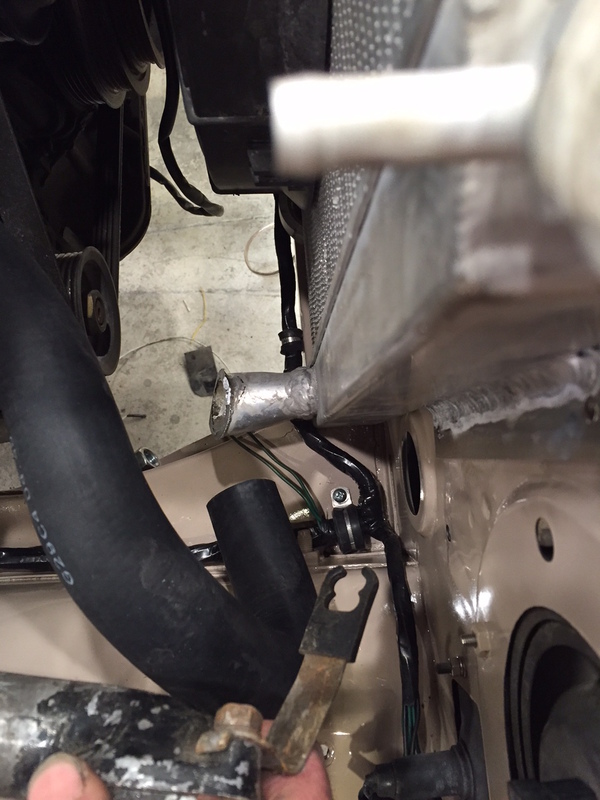 At least part of the problem with the Champion is that the mounting brackets are not offset properly to mount it to the core support as the factory mounted the stock radiators. The Champion brackets are flush and flat, where the factory radiator has them offset from the core surface and angled slightly. IF people are straight-up bolting the Champion to the core support with no modifications, they are surely inviting issues down the road. So this thread is going to depend on people with failures posting their mounting methods. Or the failures could obviously show a workmanship issue. I'm not surprised to hear of aluminum radiator failure. I am surprised to hear that this seems to be happening often enough, given the poster above, since we have not heard of any issues here on The Realm. 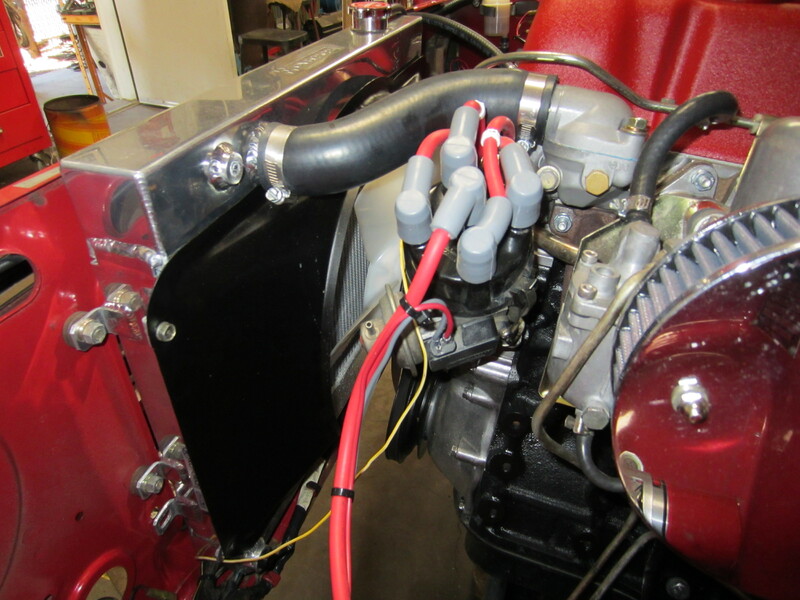 And there have been more than a few Champion radiators installed by Realm members. 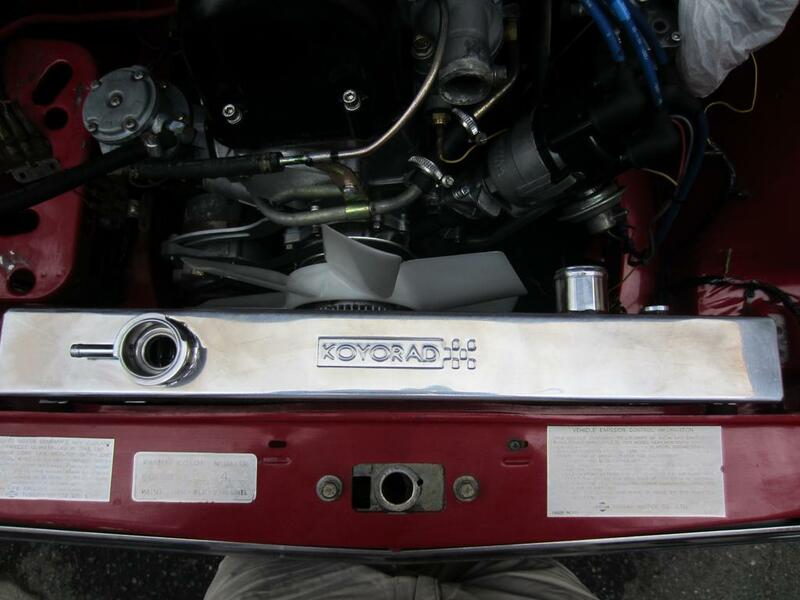 I have not seen the Koyo radiator in person. Looking at pictures of the actual item, I don't see that those mounting brackets are significantly different from the Champion design, relative to offset and angle. I have seen people solid mounting them as well and I would be very leery of this. As you pointed out there must me some allowance for the radiator to expand and contract as it heats up and cools down. If mounting the radiator to the core support similar to stock, I would use lord mounts (like these: http://www.mcmaster.com/#vibration-damp ... s/=12neib1 ) to allow some movement. My thread might give you some ideas for mounting. I like those lord mounts and will probably try to use them to remount my Koyo. Here are the pics from my setup. You really should seal up around the edges of the rad, so all air has to go through. Might as well make it earn it's keep! I used something like this for mounting my champion rad. I just went through and sealed the edges of the radio to force all the air to go through. I also sealed up a few holes in the core support so more air will have to through the rad. I was seeing a temp of about 170 to 175 before I did this when I was running in clean air while cruising. Now I can see my thermostat cycling open and closed with my temp at 160 to 165. When I am pushing it my temp gets up to 180-185 in clean air compared to 195 to 200 before I sealed it up. It is very easy to do and we'll worth he time to make sure the rad is doing the most it can. duke wrote: I have seen people solid mounting them as well and I would be very leery of this. draker wrote: They are mounted the same way as stock. Right to the core support with no insulators. The welds on the tank I believe. The aluminum tanks are welded and I doubt they are heat-treated afterwards. Aluminum welds that are not heat-treated are way soft, so I'm not surprised in the slightest that people that are bolting aluminum radiators straight to the core support are seeing issues. If you built a bike frame from 6061 and didn't heat-treat it after welding, you wouldn't get very far before the frame pulled itself apart at the welds. Also given the nature of the aftermarket industry (or many customer-facing industries these days), I'm not surprised there's no mounting advice. No advice, no liability. Huh, I never even considered it when mounting my rad. Just welded some flat plate to it then tapped the plate. Been good for a year of daily driving and almost 2.5 hrs of straight racing. I'll have to check for cracks.